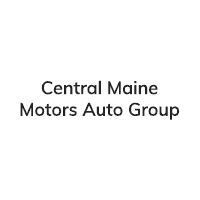 Welcome to Central Maine Motors Auto Group in Waterville, ME, your local source for new and used car sales! For years, our central Maine car dealerships have worked hard to provide drivers with the new and pre-owned vehicles they need, as well as the expert service and repairs they require. Over time, our large selection, expert team and dedication to our customers has helped us build a positive reputation throughout Maine. As a result, we see customers from as far as Augusta, Bangor, Lewiston and all over the great state of Maine walk through our doors — and we’ll be glad to help every single one! Whether you’re shopping for a new vehicle or a used car, you’ll see that there’s plenty to choose from at Central Maine Motors! We have three dealerships in our group: Central Maine Chrysler Dodge Jeep Ram FIAT®, Central Maine Chevy Buick and Central Maine Toyota. No matter which of our car dealerships you visit, you’ll find a fully-stocked inventory of new cars for sale. However, we also specialize in used car sales. With three different used car inventories available, we have a massive selection to choose from. If you’re shopping on a budget, we have plenty of used cars under $10,000. If you want a high-quality used car that’s been meticulously inspected, you can’t go wrong with a Certified Pre-Owned vehicle. We even have used cars, trucks, SUVs and vans from automakers besides our own brands, providing you with the ultimate variety. Chat with a used car salesperson at any of our dealerships, and they’ll pair you with the right vehicle for your lifestyle. Once you select the new or used car that’s right for you at one of our car dealerships near Augusta, ME, you’ll have the opportunity to chat our auto financing specialists. They’ll find the right lease or car loan for you, and talk to you about our No Doc Fee policy. Here at Central Maine Motors, you’ll never pay any doc fees when you buy a vehicle. We want to streamline your shopping experience, so there are no administrative fees, handling charges, dealer preparation fees, false paperwork charges or paperwork storage charges when you shop at any of our dealerships. In addition to our new and used car sales centers, you’ll also find reliable service centers at each of the Central Maine Motors car dealerships. We can handle all your routine maintenance and major repairs, including collision repairs! Our car dealerships near Bangor all have OEM parts centers, too, and we’ll use OEM parts in our repairs. No matter what type of automotive needs you may have, we’ll be pleased to help you at Central Maine Motors Auto Group. Our three dealerships are can all be found in Waterville, ME, with our main location at 420 Kennedy Memorial Dr. This makes us just a quick drive away from Skowhegan, Oakland, Winslow and beyond! Stop by and see us today.